Do you have a big trip planned for the near future and are still undecided as to which luggage would be best suited for your needs? Are you contemplating purchasing a Tortuga Travel Backpack but want a little more information before making your final decision? Well, just sit back and relax as I walk you through the specifics of this backpack. It is our hope that by the end of this review, you will know with all certainty whether or not the Tortuga Travel Backpack is the right travel carry-on backpack for you. They say that the greatest inventions are born out of necessity, and that is exactly how the Tortuga series of backpacks came to be. In 2009, on a backpacking trip throughout Europe, the founders of Tortuga, Fred Perrotta and Jeremy Michael Cohen, discovered how inconvenient standard luggage is for city travel. They decided to solve that problem by creating the Tortuga Travel Backpack. The company’s mission is to help you live, work, and travel on your terms, and that’s what they have been doing for the past few years. Specializing in backpacks, day packs, duffle bags, and many other high-quality travel accessories, we are confident that once your experience the comfort, style, and durability of Tortuga, you will never settle for anything less. If you want to learn more about every feature that will be available to you should you decide to make the Tortuga Travel Backpack your own, then read on, fellow traveler! Exploring is fun, but bulky baggage and luggage restrictions can sometimes make travelling a doozy. As I write this, I am reminded of the scene from Meet the Parents where Gaylord Focker (Ben Stiller) attempts to shove his obviously oversized luggage in the overhead bin. Poor guy. He should have had the Tortuga Travel Backpack! Meet the Tortuga 44 Liter Carry-On Sized Travel Backpack. It’s a front-loading backpack: No more groping around in the dark trying to find what you need. Overpack if you want to: With a holding capacity of 44 liters, you won’t be running out of storage space anytime soon. 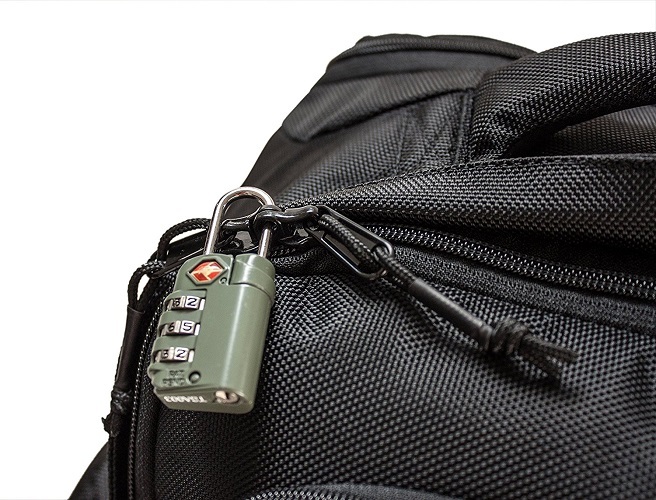 Lockable zippers: Durable and lockable YKK zippers help ensure that your valuables are protected at all times. 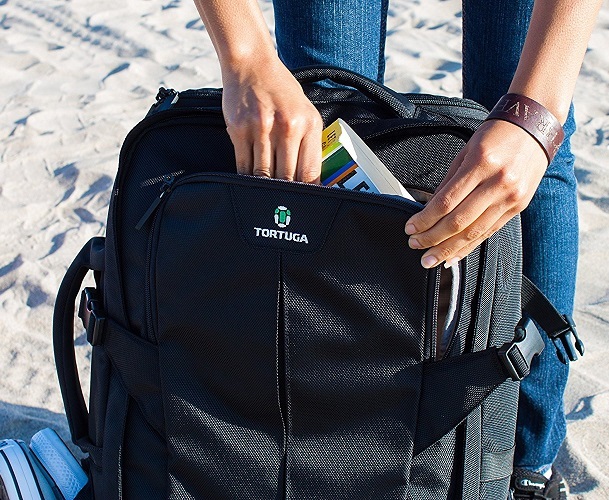 Tortuga means “turtle” in Spanish, and this travel backpack definitely lives up to its name. Just as a turtle’s home is on its back, you too can have all of the comforts of home with you when you decide to travel with Tortuga’s Travel Backpack. The Tortuga Travel backpack is unique in its design and not something you would see too often when traveling, yet its standing out makes it easier to find in the airport as well. It is designed to be the perfect travel backpack and allow you to not only look good while traveling but also provide you with superb functionality. It is the maximum carry-on size allowed by most airlines. 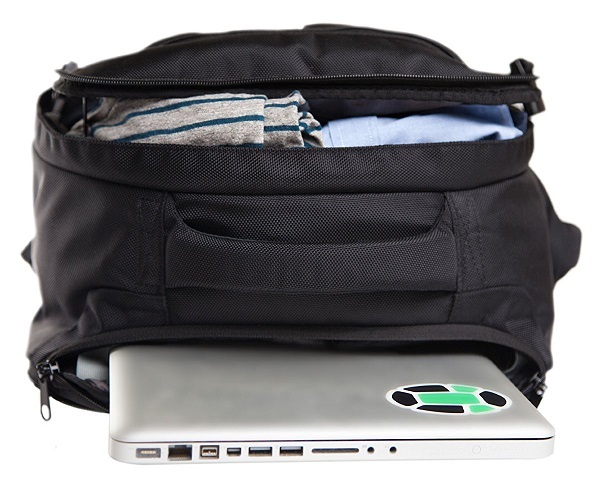 The Tortuga Travel Backpack can comfortably be stored in most standard-sized overheads bins. Because the bag has a built-in frame sheet, it cannot be compressed or squeezed down. Gone are the days of wasting time and money checking your bag. The Tortuga Travel backpack is different from most travel backpacks you would see on the market or even while traveling and that’s sure to change as Tortuga starts to become better known. It is rectangular in shape yet sleek and slick, maintaining a slim profile. The backpack is available only in one color—black; while it’s the only option it still looks great so don’t let that stop you from considering this backpack. Tortuga’s simple emblem—a white and green turtle shell—is depicted on the front of the pack near the top as well. The Overall Rating of Tortuga Travel Backpack for Style and Design gets 5 out of 5 stars. This backpack is quite appealing to the serious travel backpackers in mind. 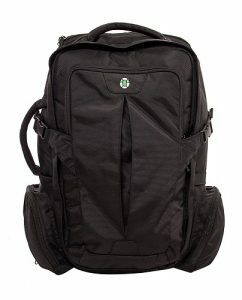 It is the perfect size for travel, it is lightweight and compact, and has a very sleek, slender, and professional design. The designers of the Tortuga backpack are aware that you will be traveling and they design this bag with international travel in mind. They are aware that you’re going to be constantly on the move and when you are, you should be as comfortable as possible carrying around your backpack. Perhaps the crucial design feature for comfortability was that Tortuga features a padded hip belt that transfers 80% of your bag’s weight from your shoulders to your hips, allowing for a more comfortable carry. The hip belt can be tightened or loosened (up to 56 inches) to ensure the perfect fit and accommodate those with wider torsos. The suspension of the backpack is fixed—the hip belt and shoulder straps are not adjustable suspension wise—and is designed to fit individuals with a torso of approximately 18-22” long, so be sure to check the fit before ordering. The Overall Comfort Rating of Tortuga’s Travel Backpack is 4 out of 5 stars. Although the bag is very comfortable to wear and carry, the fact that the suspension is fixed and thus able to fit only a select group of people is a little upsetting. Additionally, the hip belt can be a little bulky and overwhelming. A backpack like the Tortuga Travel Backpack is made with the assumption that you will be travelling overseas or even domestically and quite a bit. The designers take into account the rigors of travel and make sure that this bag can stand the test of time. 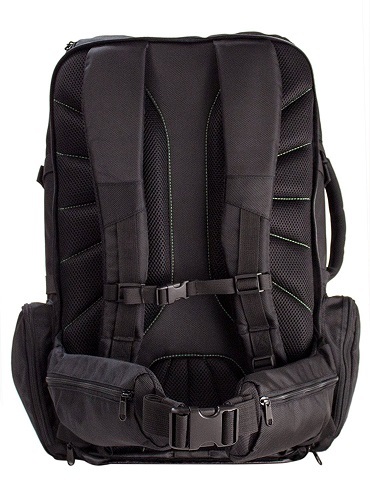 This backpack has a durable outer shell that is made of 100% 1680D ballistic nylon; making it extremely durable and offering some resistance to the elements. In the event you get it a little dirty, it is also super easy to clean; just swipe a moist towel or napkin across the surface, and you’re good to go. The designers of this travel backpack didn’t only think about the exterior but also what goes inside. The tear-resistant interior of the Tortuga is made with a durable 70D ripstop polyester lining. The lining is also very easy to clean and maintain. One of the things that keep a backpack lasting is it being lightweight. The Tortuga Travel Backpack is strong and durable, but coming in at slightly over three pounds—3.65 lbs. to be exact (1.66 kg)— it is super lightweight because who wants to tote around extra baggage (literally)! The lighter the bag the less stress on the straps as well. Finally one of the best things about Tortuga backpacks and something that I love to have on any product especially travel gear is a warranty. Tortuga’s catchy ‘Common Decency Guarantee’ states “If something is wrong and is our fault, we will make it right.” Now that is a company I can get behind. The Overall Durability Rating of Tortuga’s Travel Backpack is 5 out of 5 stars. The Tortuga backpack was well thought out and being that it’s designed by true travelers and not a huge corporation, they make sure to take their products very seriously. Tortuga’s Travel Backpack comes loaded with features even though it may not seem like it. Tortuga may appear to be pretty ordinary but this backpack is perfect for the international backpacker! One of the best features of any backpack is the front-loading panel. 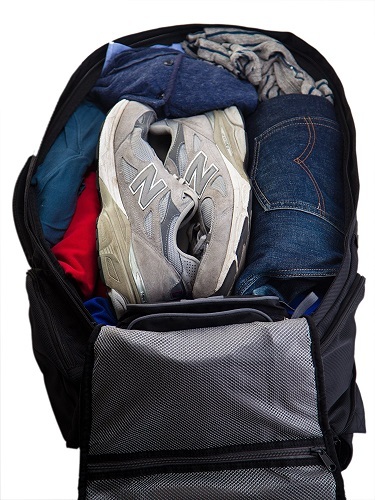 One of the drawbacks of packing in a traditional backpack is the fact that once all of your clothes and shoes are shoved down, finding the clothes you’re looking for becomes quite the inconvenience; as you are forced to completely empty out the pack. When you do manage to find what you’re looking for, it is a wrinkled mess. Not so with the Tortuga Travel Backpack. It is panel-loading and opens up clamshell style—just like a suitcase. You can, however, also access your belongings from the top of the backpack. Now you can neatly pack your bag and easily find what you need. Tortuga’s Travel Backpack features a duffel style side handle. Should you decide that you want to carry your backpack like a duffel bag, a strong padded handle on the left side of the pack makes this possible. This feature is quite useful whenever you are moving short distances with your pack or if you are in a crowded environment where wearing the pack on your back would cause you to bump into other people. A neat and up and coming feature of many travel backpacks are the hideaway straps. The Tortuga Travel Backpack features a zippered flap on the back of the pack which allows you to cover and tuck away the shoulder and hip straps when they are not being used. This is great because it makes the profile of the pack even sleeker, allowing it to be neatly stowed away when not in use; perhaps in storage or even in the off chance you have to check your bag at the airport. Security of your valuables when traveling is always important and Tortuga is able to do that with their lockable zippers. Protecting your valuables is super important, and the creators of the Tortuga get it. The Tortuga features three lockable compartments—the main compartment, the laptop sleeve, and the front pocket. Although the hip belt may not be adjustable suspension wise, it’s still a useful feature of any travel backpack. After carrying heavy loads for several hours, you will definitely come to love and appreciate the hip belt. It is rather thick because of the extra padding for comfort, but it really comes in handy. It also features two great-sized pockets on each side of the belt. 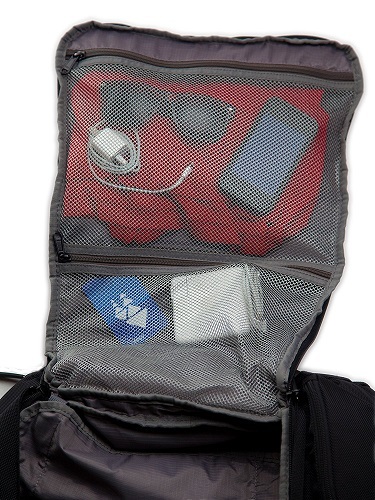 The pockets can be used to store cell phones, cash, boarding passes, identification, and any other items that may need to be accessed quickly and easily. 2 zippered side pockets: great for chargers, cables, accessories, etc. The Overall Rating of the Features and Functionality of the Tortuga Travel Backpack is 5 out of 5 stars. They really did not omit any bells and whistles with this one. They know exactly what travelers are looking for because they are seasoned travelers themselves. The Tortuga Travel Backpack was designed specifically for world travelers, backpackers, tech-savvy folks who carry around a lot of equipment, and study abroad students. It is a little bit bulky for everyday student use. Now for most of these experienced travelers they know price is sometimes one of the last things you want to worry about when looking for a reliable and well-functioning backpack. You definitely don’t want to skimp on perhaps the most important piece of gear you’ll take when backpacking. Luckily this backpack isn’t nearly as expensive as it used to be and today you can easily get this if you save up and don’t grab a Starbucks coffee every morning for one month! All in all, the Tortuga Travel Backpack is a top contender in the travel backpack category. They say that the best inventions arise out of necessity, and that is exactly how the Tortuga was created. As such, this backpack has all that an urban traveler could ever need—ample storage space, comfort, and security features. There are some areas in which the Tortuga falls behind, but they are not significant enough to deter you from purchasing this great travel backpack. If you travel often or are embarking on a journey of considerable length, I would definitely recommend the Tortuga Travel Backpack. The Tortuga is durable, comfortable, and keeps all of your belongings perfectly organized. 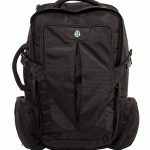 Overall, the Tortuga Travel Backpack gets 4.5 out of 5 stars! Incredible warranty "Common Decency Guarantee"